Last Week's poll results: This week's poll results told us your favorite part about September is the change in the weather. What's your favorite part about September? The Bucksport Bay Area Chamber of Commerce Annual Golf Tournament is right around the corner. The 18-hole tournament will be held on Saturday, September 29, with a 9:00am registration, and a 10:00am shotgun start. This year brings us back to the Searsport Pines Golf Course. 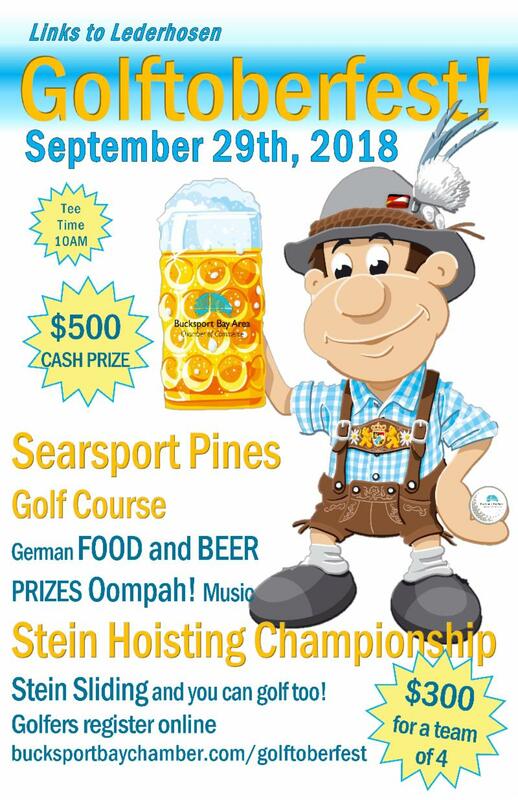 They served as a wonderful home for the tournament in the past and this year we return with the added fun of Oktoberfest. If you plan on taking part in the golf tournament you must pre-register at the Bucksport Bay Area Chamber of Commerce, by September 14, 2018. You can download your registration form or register online here. You are invited to a networking Mixer on the Green on September 29th at Searsport Pines Golf Course from Noon to 3 PM. Mix & Mingle with other business professionals as you party like an Austrian. Enjoy Mittagessen (Lunch with a German flare) and a Stein full of your favorite that you get to keep. The first fill is on us the rest are up to you. 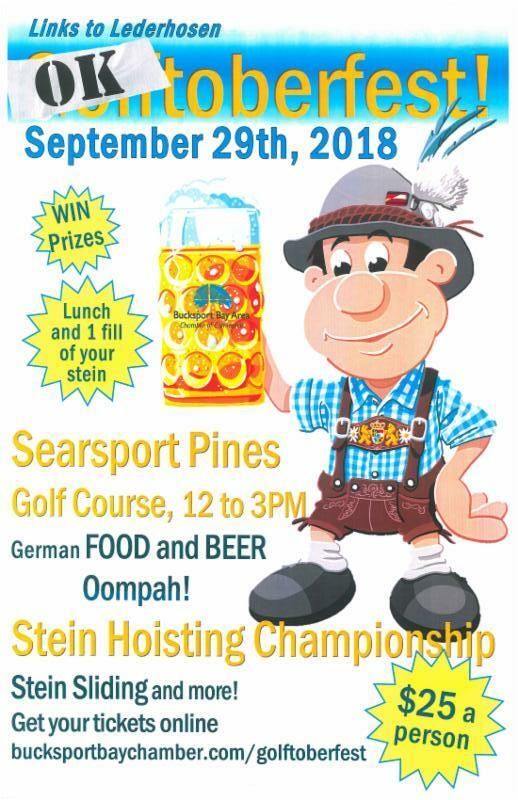 Stein Hoisting and sliding competitions will be held hourly so you can compete to win prizes! 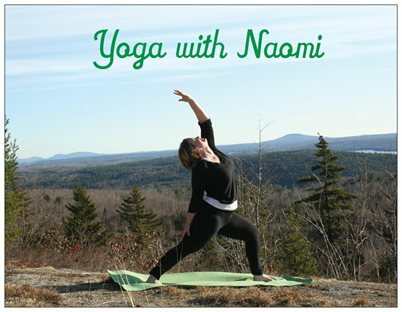 The Bucksport class is $12 to drop in or $50 for 5 classes. Free to cancer patients, survivors, and caregivers thanks so support from the Beth Wright Center. The Ellsworth class is free to anyone whose life has been affected by cancer. Mats and props are provided at both classes. 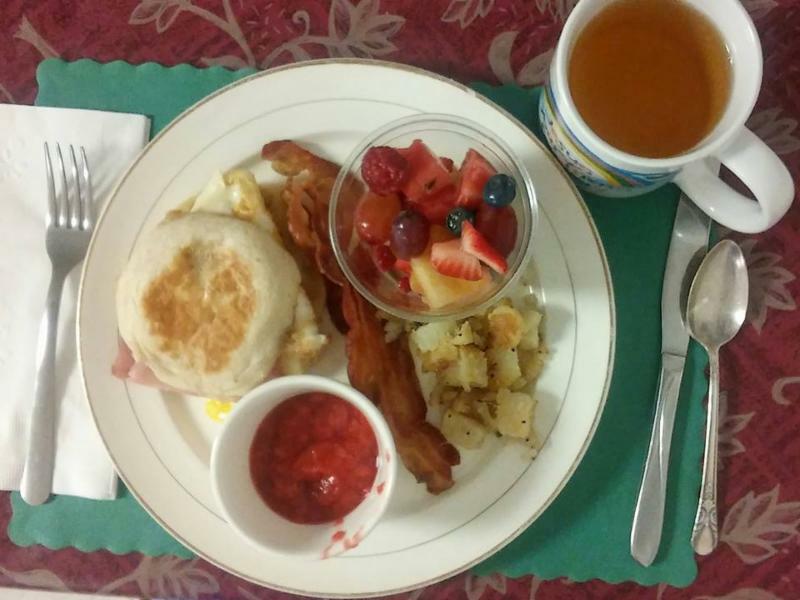 The Bucksport United Methodist Church, at 71 Franklin Street, Bucksport, will host a Public Breakfast Buffet on Saturday, September 8th, from 6:30 a.m. until 9:30 a.m. The 3nd Annual GREAT EVENT is Coming to Stockton Springs September 8th! Stockton Springs Community Library (SSCL) will host the 3rd annual GREAT EVENT on Saturday, September 8th from 8:00 am to 2:00 pm. The grounds of the Library and Town Office will once again be filled with a Giant Yard Sale, Barbecue, Bake Sale, Homemade donuts, Children’s Events for all ages, and much more! The atmosphere will be festive and everyone is invited to join in the celebration! Find bargains, enjoy good food, see old friends and meet new ones at the GREAT EVENT! There are still a few spaces available in the yard sale. If you’d like to rent a space at the GREAT EVENT Giant Yard Sale you should come to the library during open hours. Library hours are Monday 3:00 – 5:00 pm, Tuesday 4:00 – 7:00 pm, Wednesday 3:00 – 5:00 pm, Thursday 9:00 am – Noon and 6:30 – 8:30 pm, and Saturday 9:00 am – 3:00 pm. To reserve your space you must fill out an application and pay in advance either by check or cash. Spaces are approximately 10’ x 15’. Cost is $35. 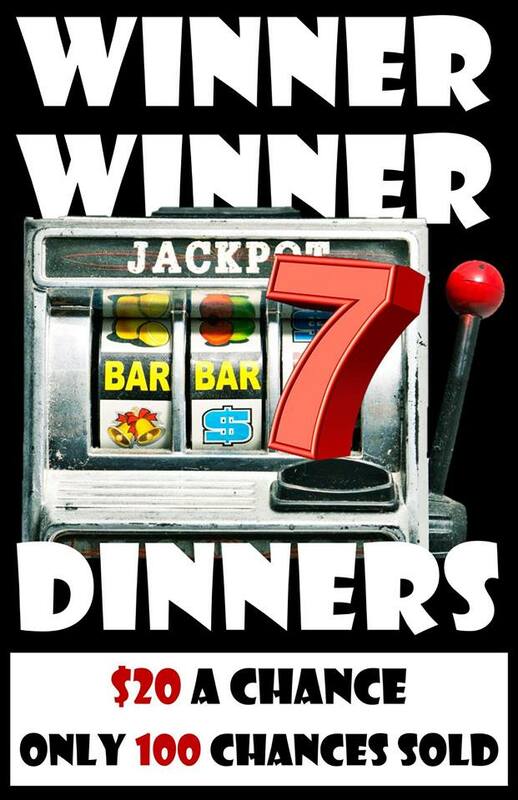 You may bring your own table or you can rent a table for an extra $5. Organizations and crafters are also welcome to rent space in the Giant Yard Sale. The GREAT EVENT will happen rain or shine. For more information call 567-4147. This family event is going to be chock full of good bargains, great food, entertainment for the kiddies, community spirit, and much, much more! We’ll see you on September 8th in Stockton Springs! Penobscot Home Performance is hiring! 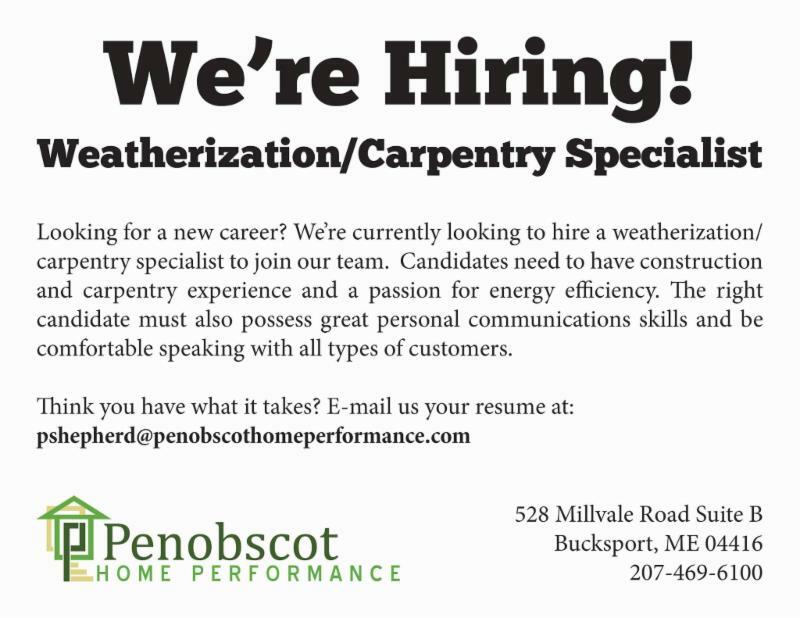 Penobscot Home Performance is looking to bring on a Weatherization Technician and a Weatherization Crew lead. They offer starting pay of $18 to $25 per hour, 2 weeks paid vacation, holiday pay, profit sharing, and a retirement package not to mention a fun and varied work environment. Do you want to help make a real difference on a local and global scale? Give us a call at 469.6100, email Matt Damon, or message them on Facebook. Multi-State Small Business Forum on Thursday, September 13th and you are invited! Since I hadn’t heard back from you I thought I would reach out again. Please see the flyer HERE for more details. This will be a virtual meeting using Cisco WebEx web conference platform You would be able to join us from the comfort of your own office. This Small Business Forum is for Small Business Organizations and is open to Small Business, Industry, and Governmental groups that allow us to exchange ideas, gather information about emerging issues, network, and maintain a dialogue with each other. If you would like to attend please let me know and so I can register you properly. The WebEx link that you will be using to join this spectacular event is embedded in the invite (highlighted in blue) which is attached above. If you have trouble finding it please let me know and I can guide you to it. For this forum we are looking for our organization partner leaders such as yourself to attend. Also if you have some key members, colleagues that would have an interest you could share it with them as well. We would appreciate it if you would keep this invite to this select audience. We also have some constraints on number of attendees that we can have due to the technology used so this makes invites selective. We are looking for leadership of the organizations to leverage the information shared at this forum to their members, clients, customers and also share any issues from them that we might be able to assist with. I sure hope you can attend! Again if you would like to attend please let me know and so I can register you properly. You can contact me at shawn.s.savage@irs.gov or 207-480-6099. We sure hope you can join us! 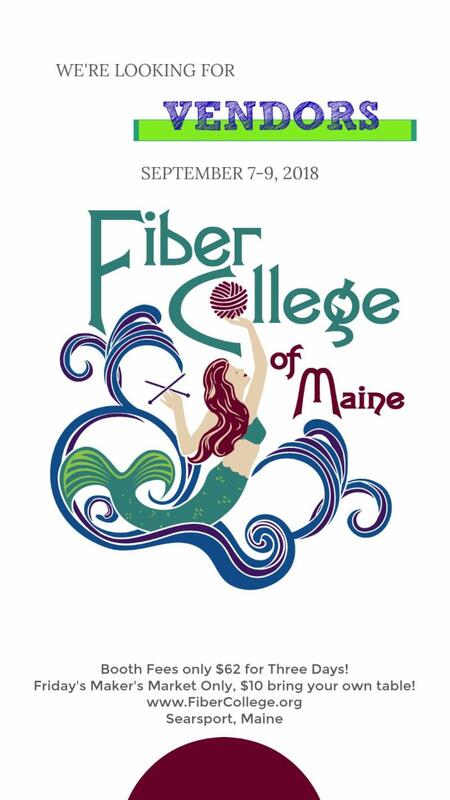 Fiber College is looking for Vendors! The Shopper's Boulevard is an important part of the Fiber College Experience. We work hard to offer a variety of offerings and promise you that we will not accept several booths offering the exact same materials. 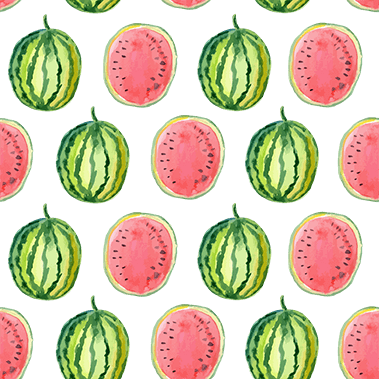 Since our inception, we ask that the booths be focused on providing artists, crafters, and collectors with the supplies they will need to be creative themselves. We wish the Shopper's Boulevard to remain a haven for inspiring creativity and "doing." When you are packing your (much lighter) bags to head home we want three things for you: (1) You feel relaxed and have enjoyed the experience, (2) The weekend was a financial success, understanding that if students were engaged at your booth, they will be looking for you in the months and years to come, and (3) You made new contacts that re-vitalize your commitment to this wonderful sector of the creative economy. When you complete this registration process you will have the option of paying immediately by credit card (this is a secure site) or choosing to send a check (personal or bank) within 5 days of the day you register. If you are bringing animals, what will you bring and how much space will you need for the pen? What products and/or services will you be providing in your booth? Is there any more information we need to make things perfect for you? Would you like more information about being part of our rolling classes "area"? At this time it is only available to people with their own tents and space to teach. You will be paid $10/student/session at the end of the weekend. The success of Freshwater Stone depends on the men and women who come to work here every day. Our commitment towards our crew grows from an appreciation of their dedicated craftsmanship and exceptional work ethic. 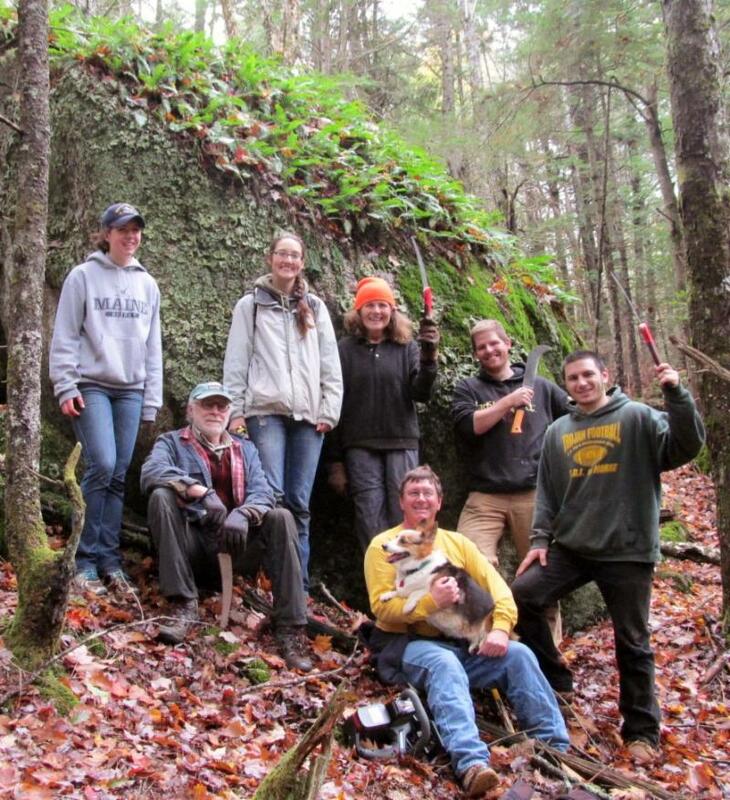 To work at Freshwater Stone means to share our core values of hard work, family and health. To support these values, we offer a social, yet challenging health and fitness program that is free to all Freshwater Stone employees, as well as their families. We also have a safety and regulatory professional who is available every day. BUCKSPORT’S WEDNESDAY ON MAIN and WERU Community Radio, generously sponsored by Darling’s of Augusta, Bangor & Ellsworth, and The Town of Bucksport, continues our fabulous Music Documentary Film Series with Standing in the Shadows of Motown brought to you with smiles by Ellsworth-Bucksport Dental Associates . In 1959, Berry Gordy Jr. gathered the best musicians from Detroit's thriving jazz and blues scene to begin cutting songs for his new record company. Over a 14 year period they were the heartbeat on every hit from Motown's Detroit era. 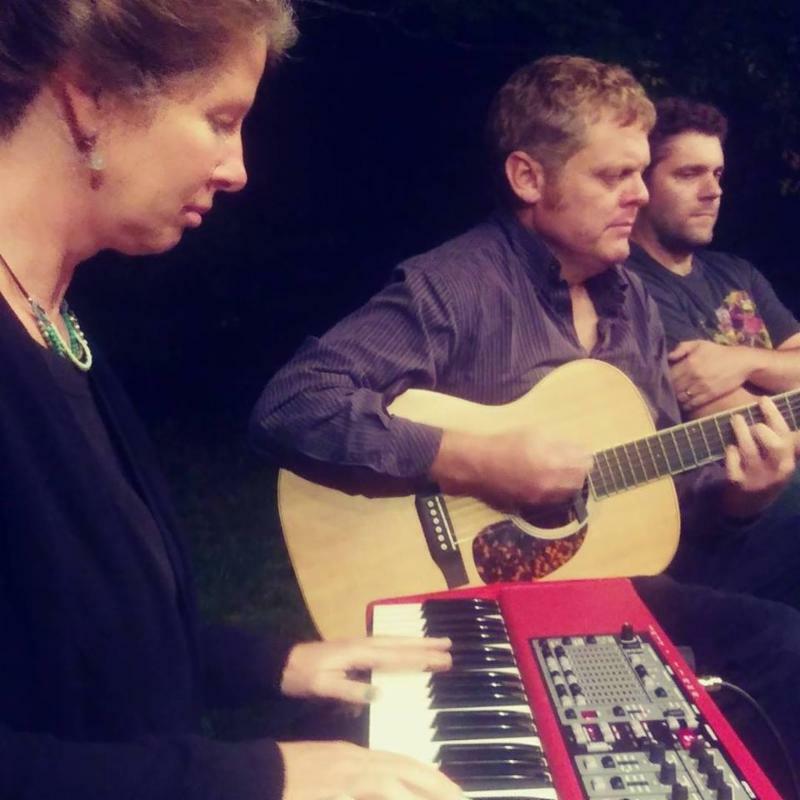 By the end of their phenomenal run, this unheralded group of musicians had played on more number one hits than the Beach Boys, the Rolling Stones, Elvis and the Beatles combined - which makes them the greatest hit machine in the history of popular music. They called themselves the Funk Brothers. 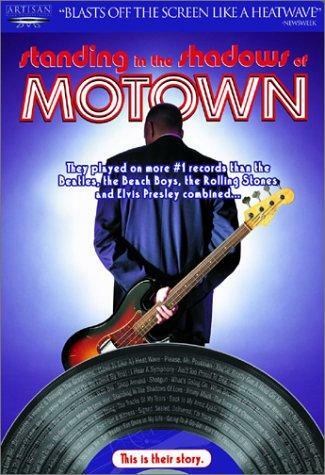 Forty-one years after they played their first note on a Motown record and three decades since they were all together, the Funk Brothers reunited back in Detroit to play their music and tell their unforgettable story, with the help of archival footage, still photos, interviews, re-creation scenes, 20 Motown master tracks, and twelve new live performances of Motown classics with the Brothers backing up contemporary performers. Narrated by Andre Braugher. During the weekend of September 8-9 Castine’s Revolutionary War fort will come alive with an encampment hosted by Friends of Castine Fortifications and the 74th Highlanders. 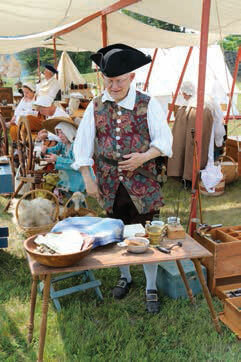 The encampment will be open for visitors from 9:00 am – 4:00 pm. There is no charge to attend the encampment or its programs. Fort George is located on Battle Avenue in Castine. Visitors will be able to see and meet volunteer reenactors who will portray the Scottish, British and Hessian troops stationed at Fort George. Also attending will be reenactors portraying the Loyalist families living in Castine during this period. Visitors will see demonstrations of what life was like at the fort after the British victory during the Penobscot Expedition in 1779. Among the activities and demonstrations will be drills, recruitments and displays about medical practices during the War. 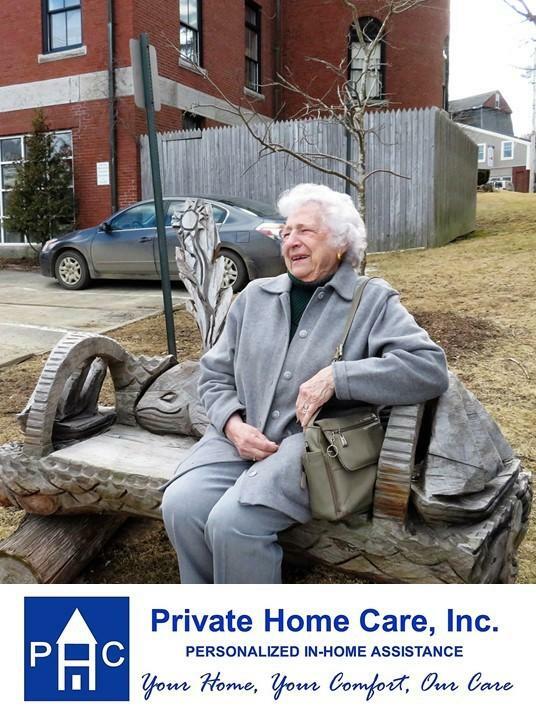 Two special presentations are scheduled for Saturday, September 8 both held in Castine. Historian Charles Lagerbom will talk about the history, building, occupation, post-occupation and archaeological investigation of an American Revolutionary War Trading Post on the Colonial Maine Frontier. Who were the German troops at Fort George and what were their experiences at this British outpost in the American Revolution? Fort George was added to the National Register of Historic Places in 1969. The Fort’s history began in 1779 when the British Royal Navy sent a detachment of troops here, intending to use the site as a base of operations against the American rebels. They built Fort George on the highest point of ground overlooking Penobscot Bay. Upon learning of the British landing, the Massachusetts legislature (this area still being a part of the Massachusetts colony) resolved to send a combined military and naval expedition to expel British and occupy the fort. The “Penobscot Expedition” was one of the greatest naval defeats in American history. Poor co-ordination, bickering commanders, inadequate training, and inexplicable delay allowed the British to defend the fort and inflict a humiliating defeat on their opponents, who were sent fleeing up the Penobscot River. Among those involved in the defeat was the Boston silversmith Paul Revere, whose uncooperative behavior and poor relations with the commanding officers led many to seek his censure by court martial. 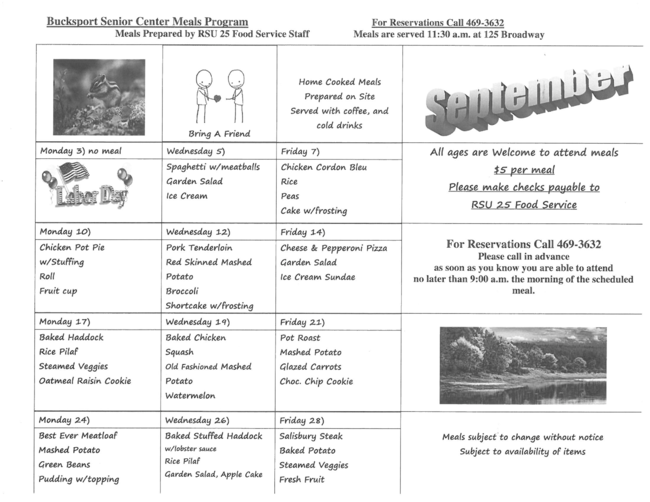 For further information visit www.FriendsofCastineForts.com or call the Castine Historical Society at 207-326-4118. The 3rd annual International Maritime Film Festival is pleased to announce this year's winning films. The festival runs from Friday, September 28 through Sunday, September 30, 2018 at the historic Alamo Theatre in downtown Bucksport, Maine. The Runner-Up feature-length prize goes to "Lobster War: The Fight Over The World's Richest Fishing Grounds," a 2018 film by American filmmaker and Boston Globe reporter David Abel. 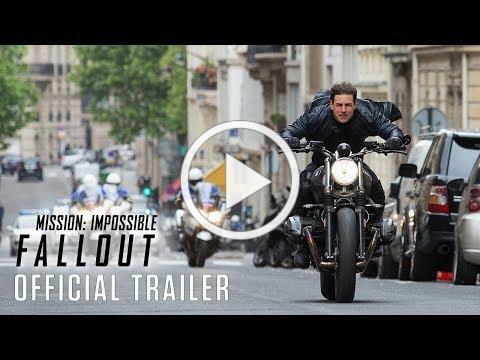 The film is about a climate-fueled conflict between the United States and Canada over waters that both countries have claimed since the end of the Revolutionary War. The disputed 277 square miles of sea, known as the Gray Zone, were traditionally fished by US lobstermen. But as the Gulf of Maine has warmed faster than nearly any other body of water on the planet, the area’s previously modest lobster population has surged. As a result, Canadians have begun to assert their sovereignty, warring with the Americans to claim the bounty. In the short films category, the Grand Prize is awarded to "Herring Opera," a 2017 film by the American filmmaker Tessa Schmidt. Herring Opera is set in the small coastal town of Sitka, Alaska, where the most dramatic signal of spring is the arrival of the herring. Massive fishing boats arrive from out of town to vie for the "million dollar set," local Alaska natives prepare to harvest herring eggs in the traditional way, and thousands of whales, seals, and eagles crowd the ocean to eat the herring. This short nonfiction film presents all the bustle of springtime in Sitka in an operatic form, using classic opera pieces as a score of this modern but timeless struggle between nature, tradition, and technology. The Runner-Up prize in the short films category goes to "The Sea Is My Brother" by American filmmakers Shari Rothfarb Mekonen and Avishai Mekonen. This 2018 film follows the fight in Congress of WWII Merchant Marine Veterans who seek justice for being excluded from the GI Bill for the 42 years before they were legally declared veterans in 1988. Additional films will be screened at the festival as part of the IMFF spotlight series. This year, IMFF is partnering with the Island Institute and the program will include several of their "video postcards" that capture life on Maine's islands as well as examine the impact of climate change on island and coastal life. The 3rd annual IMFF will also include the launch of a new initiative, IMFF: Fresh Takes. Supported by a grant from the Maine Arts Commission, IMFF: Fresh Takes will be year long project led by Maine-based film maker Jim Picariello. 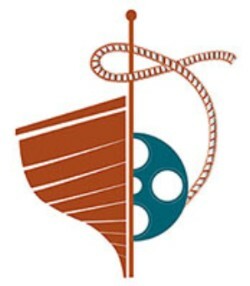 Beginning this fall, Jim will work with students from Bucksport High School to create films that will be debuted at the 2019 International Maritime Film Festival. The participating students will be introduced at this year's festival and Jim will be on hand to give an exciting preview of the project. A final program for the 3rd annual IMFF will be announced in late August. Tickets are on sale at the website, maritimefilmfestival.com. 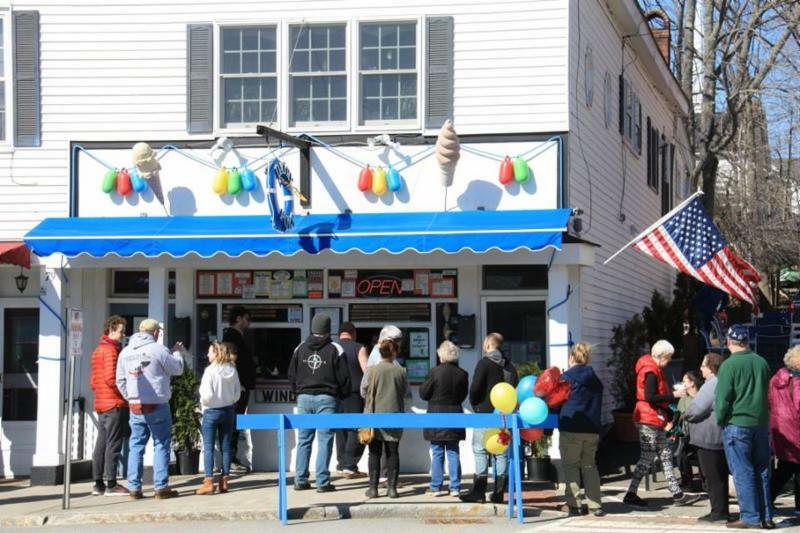 Tickets are also available at BookStacks located at 71 Main Street in Bucksport and at Archipelago located at 386 Main Street in Rockland. Since the program began in 2014, more than 500 people from across Hancock and Washington counties have participated in Healthy Acadia’s Tai Chi for Health classes. What’s the tai chi appeal? The ancient Chinese practice of tai chi is clinically proven to be an effective exercise form that improves health and overall well-being. Tai chi’s slow, gentle, mind-body movements have been found to increase flexibility, concentration, endurance, and muscle strength; as well as improve balance and reduce falls. Tai chi can also be effective in relieving physical discomfort and in doing so, may improve overall physical and mental function. Over 94% of those surveyed who have participated in the Tai Chi for Health program report improved strength, flexibility and balance, with 100% of respondents reporting an increased ability to relax. If you have never practiced tai chi, or want to refresh your practice, Healthy Acadia will be offering eight-week beginner-level Tai Chi for Health courses at three locations in Hancock County this fall. Healthy Acadia’s tai chi instructors are certified through the Tai Chi for Health Institute, which employ science driven curricula developed by Dr. Paul Lam and a team of medical and tai chi experts, making Tai Chi for Health safe, easy and fun for people of all ages and levels of ability. While the classes are free, a donation is suggested. • Ellsworth – Thursdays, 10:45am to 11:45am, September 13 – November 1, 2018 at Moore Community Center (133 State Street). 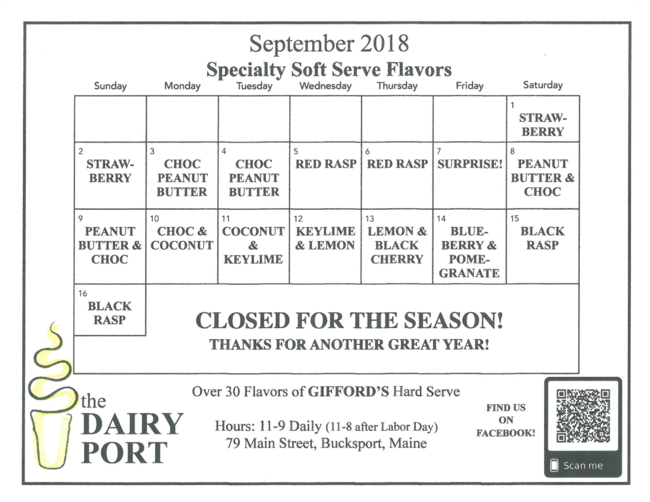 • Bucksport – Fridays, 11:00am to 12:00pm, September 14 – November 2, 2018 at Bucksport Regional Health Center (110 Broadway). • Blue Hill – Tuesdays from 2:00pm to 3:00pm, September 25 – November 13, 2018 at Parker Ridge Retirement Community (63 Parker Ridge). 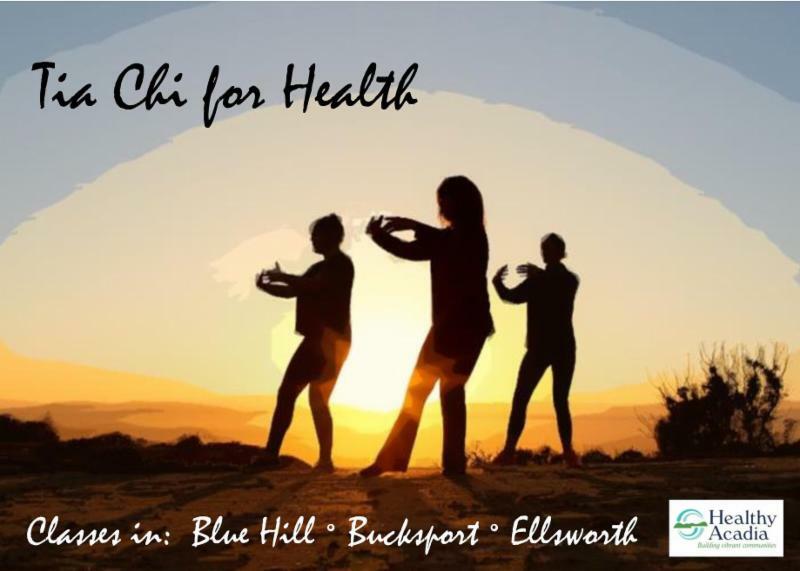 To register or for more information about Tai Chi for Health classes in other locations across Hancock and Washington counties, contact Nina Zeldin at 667-7171 or nina@healthyacadia.org or visit https://healthyacadia.org. 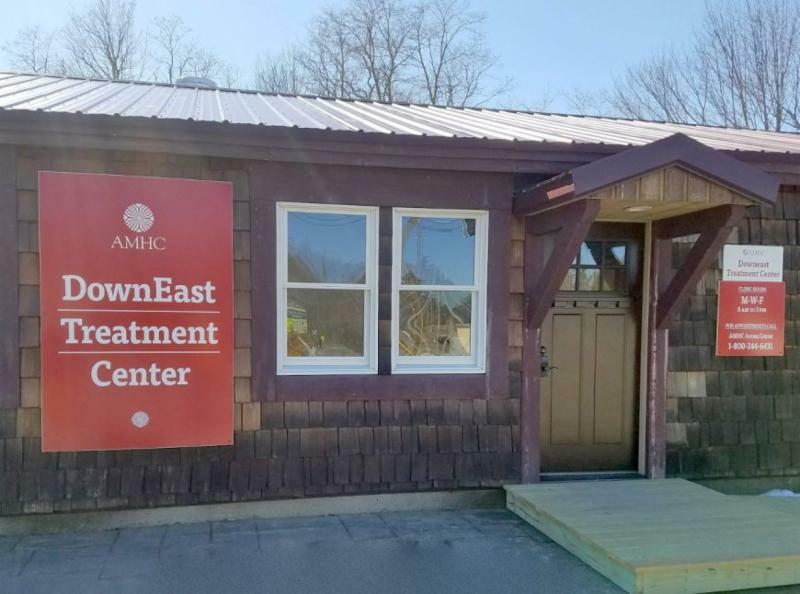 On Thursday, September 13, 2018, community members are invited to tour AMHC’s newly-opened DownEast Treatment Center in Ellsworth. 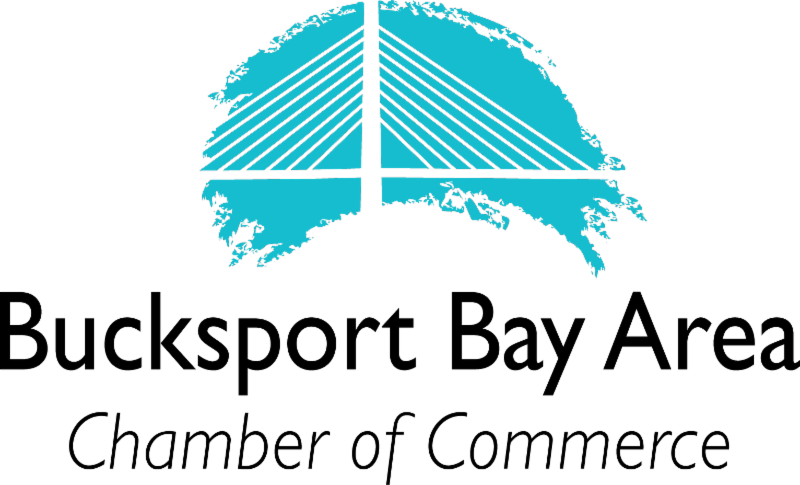 The DownEast Treatment Center (DTC), located at 406 State Street (Suite 2), is a treatment hub offering comprehensive medication assisted treatment - or MAT - services, for people with substance use conditions. DTC’s evidence-based treatment approach employs integrated behavioral health and medication management to help individuals achieve sustained recovery. DTC administration, clients, staff and partners welcome members of the community to join them in celebrating recovery and National Recovery Month from 11:30am to 1:00pm on September 13. The open house event will include an overview of treatment services and an opportunity to connect with members of the DTC treatment team and administrators. Attendees will also hear from community members in recovery willing to share their experiences with DTC and MAT services. A ribbon-cutting ceremony is scheduled for 12:45pm. Light snacks and refreshments will be available. DownEast Treatment Center services are confidential and open to anyone who meets admission criteria. DTC accepts MaineCare, private insurance, and self-payment. Grant funding is available for qualifying individuals to reduce self-pay fees. Appointments may be scheduled through AMHC’s Access Center by calling: 1-800-244-6431. Clinic Hours are Monday, Wednesday and Friday, from 8am to 5pm. Susan T. Rodriguez designs at the intersection of architecture and the public realm to create buildings and spaces that distill the essence of cultures and communities. Her award-winner work is recognized internationally for its contribution to the vitality of cities and lanscapes, and the civic cultural and educational institutions they serve. 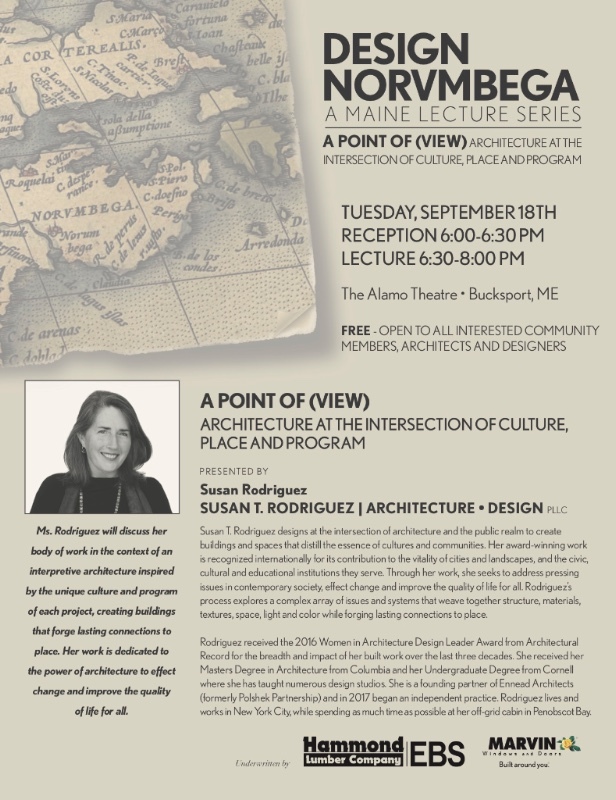 Ms. Rodriguez will discuss her body of work in the context of an interpretive architecture inspired by the unique culture and program of each project, creating buildings that forge lasting connection tot he place. Her work is dedicated to the power of architecture to effect change and improve the quality of life for all. Have you ever wanted to visit Cuba, but were unsure about all the rules and logistics? Join Sue Hazlett on Tuesday, September 18 (7 p.m.) at the Wilson Museum's Hutchins Education Center, for a talk, co-sponsored by the Museum and the Castine Woman's Club, about negotiating the process of visiting Cuba and having a great time. From pristine beaches to old cars, Cuba is an amazing place to explore! Sue spent two weeks in Havana, Cuba, this year and would love to share her experiences. 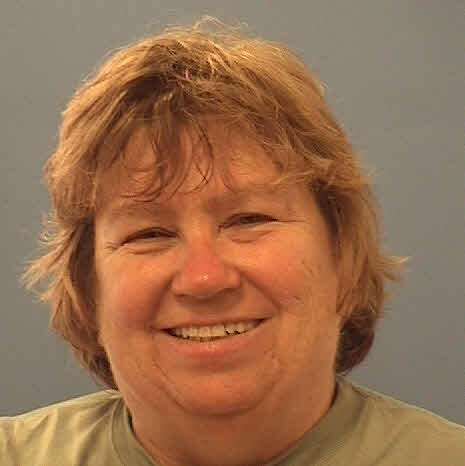 Sue Hazlett is an Alaskan who moved to Castine five years ago and teaches at Maine Maritime Academy. She spends her summers working for cruise lines such as Princess, P&O, and Cunard; and is fortunate enough to be able to travel extensively. Recent travels have taken her to Alaska, Japan, Iceland, Ireland, and the Caribbean, including two weeks in Havana, Cuba.